Aha! :: Elliance Blog | Ideas, musings and inspirations. As part of the most diverse generation in the U.S. history, they take diversity for granted. They accept, not just respect, others for who they are – irrespective of their race, religious beliefs, and their gender preferences. Born in the digital age, they live on YouTube, Snapchat, Instagram, Facebook, Tumblr and Google. The internet is an extension of their brain. They have an app for everything they do, or have an interest in. Memes are a part of their daily lives. Rankings, ratings, scores, research studies are part and parcel of their daily lives and conversations. They don’t understand the nuances of data and the gamesmanship behind data creation, but they’ll learn that too in due time. To them double and triple majors are the norm. They’ll listen to all genres of music – rock, classical, jazz, electronic, electronic dance music (EDM) and more. They’ll pursue what they love, irrespective of whether it belongs to their own, their parents’ or their grandparents’ generation. They’ll learn multiple computer languages and digital tools. They have planners, schedulers, and alerts all worked into their daily lives. They are keenly aware of what brands stand for – and they endorse brands whose values resonate with their own. They want to be a part of something greater than themselves. They speak their hearts and minds. They take protesting as a part of their moral duty. They want to make a difference locally, nationally and globally. They feel the burdens and expectations of their families, society and global issues on their tender shoulders. They are worried about money and college loans. Perhaps that’s why they have a deeper need for humor (consumed on YouTube of course). Perhaps because they are worried about money, they are dreaming of creating their own channels, apps, and startups. A word of caution. These are generalizations that don’t apply to every Gen-Z person or every Gen-Z micro-community. Each sub-group and each individual’s behavior varies depending on their personal circumstances and the special communities they are part of. For instance, when we interviewed groups of elite private school kids, inner-city kids, first-generation in college kids, and hispanic kids, their characteristics, values and behaviors were quite distinctive and unique. Of course, life is far more complex than all the theories of life put together. What have you observed about your teens and Gen-Z? The golden age of print magazines long ago expired (Time once reached 20 million readers a week at peak circulation). Still, writers, editors and photographers charged with producing a college or university magazine juggle the same risk/reward choices as their predecessors when it comes to creating memorable cover art. Whether your college magazine comes in print, responsive or hybrid formats, your cover competes for precious reader bandwidth in an era of continuous partial attention. And if you only have one or two occasions a year to plan, design and deliver a great cover, all the more reason to be very intentional in your approach. Some university magazines approach the task with zeal and gusto. Findings from the University of Michigan School of Public Health comes to mind for its persistent good faith attempts to deliver a perfect summary of the cover story, magazine and school itself in one image/headline pairing. 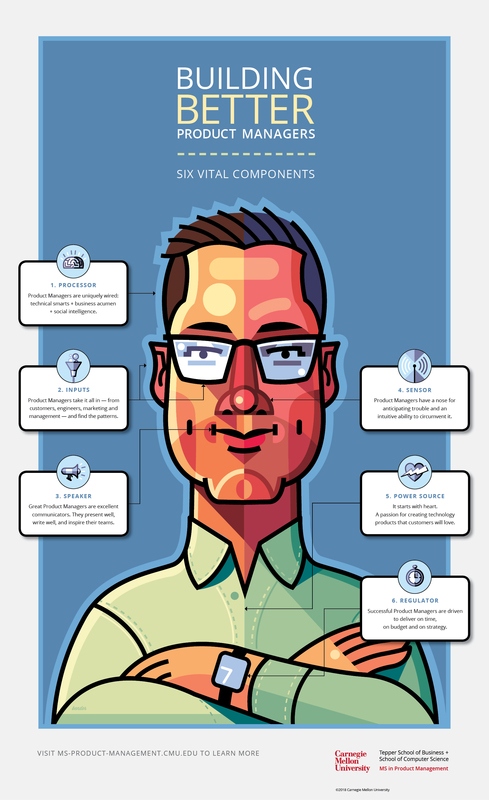 The team understands some overall gestalt, and consistently advances mission, reputation and brand with each issue. New York University’s Alumni Magazine produces consistently witty and riveting covers (Something Wild: Fall, 2016). Barnard College works magic with cover portraiture (Greta Gurwig, Winter 2018). Bucknell (Is the Dream Over: Spring, 2018) routinely punches above its weight and deploys its small staff to tackle big topics — with cover art that is accessible without becoming cliched. Barnard, as mentioned, shows restraint in this regard. Even with a deep pool of celebrity to draw upon, Barnard’s editorial team understands that an alumni magazine seeks a collective reassurance, not the solitary claim to glamour bargained for in most consumer advertising. Many college magazines shrink from the challenge of producing great cover art entirely, preferring safer, albeit less engaging routes. We’ve all seen an obligatory college magazine cover (no photo scouting required) and thought, well, the easiest choice to make is no choice at all. A century later, advances in both cognitive science (mind) and neuroscience (brain) give us a deeper understanding of the brain as a meaning-making machine, with its want to grab hold of incomplete information and complete it. When we look at a college magazine cover, we form instantaneous responses — to faces, form, gesture, contour — while also constructing a theory about the subject, college and relationship between the two. Given the rare, yet powerful moment that’s created by a magazine cover — even those viewed digitally — it’s worth investing creative time and resources. Few messages will linger as long with prospects, alumni, partners and donors. Your flagship magazine has the potential to move the perception/reputation needle further, faster than any other brand signal. As a college reporter and editor, I had the good fortune of working under the mentorship of photojournalist and picture editor J. Bruce Baumann — one of journalism’s great visual thinkers. One late night, as we hastily cut and pasted (that long ago) images into the newspaper, Baumann pulled a handful of quarters out his pocket and began covering faces. “If I can hide someone’s face under a quarter, then I can ignore any meaning in the photograph,” he said. Does the subject’s strength and energy fill the frame? Does the cover give equal importance to person and place? Do you feel the rapport between photographer and subject — does the subject refuse to let go of the camera? Does contrast come into play, and does it lend a dynamic energy to the cover? Does the cover have an emotional temperature, and does that temperature match the story or special issue it frames? Does the interplay between words and art invite the reader to explore truth(s) beneath the surface of the cover image? Will the cover image compel someone to rethink how they see or what they believe? Does conflict and/or complexity within the cover image engage the viewer’s primal need to make meaning? Looking for additional inspiration? Check out these 50 magazine cover design hacks. The primary goal of digital content marketing is to earn attention and grow brand reputation by providing valuable content – that informs, persuades, engages and delights prospects and customers. However, delivering on this goal has turned into an all-out arms race, with three distinct generations of content marketing. In the beginning, marketers equated content with website copy and photography. Copywriters and storytellers elevated the website copy – presenting the facts and persuading the prospects with engaging content; professional photographers were hired to lift the website experience with beautiful imagery that told visual stories. Core Content = Copy + Stories + Photographs + Press Releases. Once parity was achieved in basic content, marketers expanded the concept of content to include blogs and juiced up the copy, photographs and blog posts with keywords to secure page 1 rankings on Google. Enhanced Content = Core Content + Blog Posts + Social Media Posts (all powered by SEO Keyword Lexicon). As more marketers started creating blogs, the battle for attention is now pushing marketers to raise their game. Now marketers are continuously generating keyword-inspired, relevant and high quality content, such as infographics, videos, thought leader interviews, articles, white papers, field guides, posters, animations, slideshows and microsites. 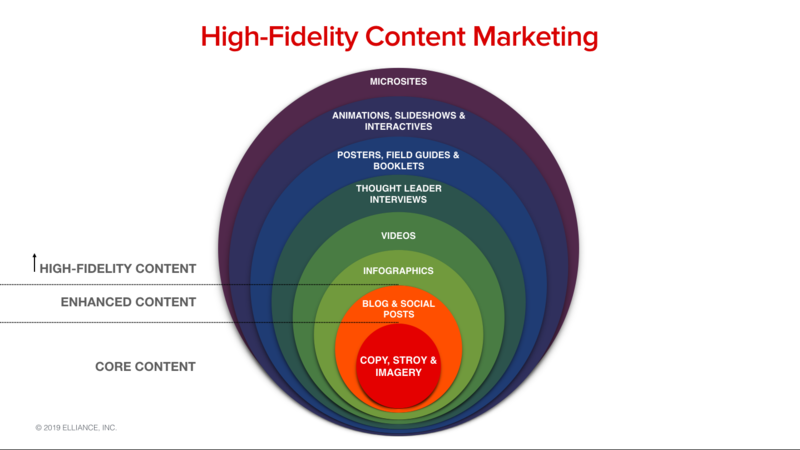 High Fidelity Content = Enhanced Content + infographics + videos + thought leader interviews + white papers + field guides + posters + animations + slideshows + microsites + more. Once created, the high-fidelity content is reused and repurposed in as many ways as marketers can imagine. It is promoted via the marketer’s owned media – website, blog, social media and email – to encourage peer-to-peer sharing. 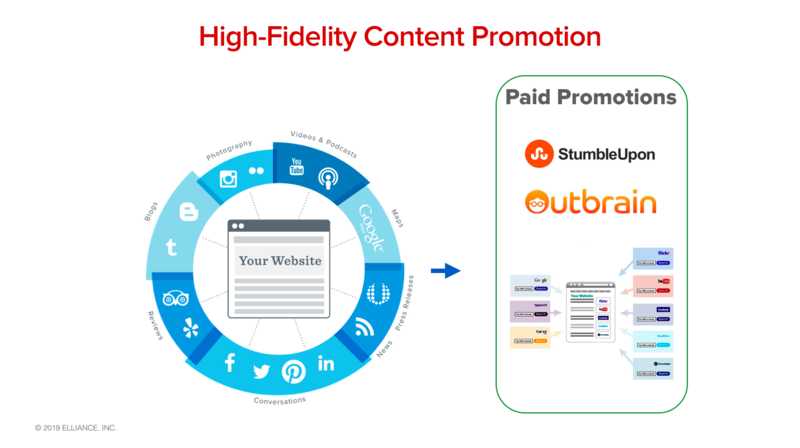 Next, the high-fidelity content is promoted through content discovery networks such as StumbleUpon and Outbrain. Done well, the high-fidelity content elevates brand reputation and dislodges competitors from search engines for tough-to-rank keywords. In contrast to helpful blog content or informative and persuasive blog content, high fidelity content is more endearing, delightful and engaging. Not only does it generate more exposure and reach than ordinary blog content, it also has a multiplicative effect on the content ROI. This results in an increase in the number of views, likes, shares and interactions, and also grows leads and sales conversions. Carnegie Mellon University recently turned to Elliance for help with growing enrollment for its new Master of Science in Product Management (MSPM) program, a first-of-its-kind joint initiative by Carnegie Mellon’s top-rated Tepper School of Business and the School of Computer Science. The program struggled to attract aspiring product managers, enrolling only a few students in its first cohort. After interviewing the program director, admissions director, marketing director, faculty and students, Elliance decided to position this pioneering degree as the best path for people wanting to enter the in-demand field of Product Management. The overall campaign resulted in a quintupling of enrollment and attracted top-tier students. Our efforts to grow enrollment even further are ongoing. In the upcoming weeks, I’ll share more examples of high-fidelity content marketing campaigns we are running on behalf of our other clients. Learn more about our content marketing services. Today, there is a lot of advice around how to create high quality, student-centered content in the higher education space — from bringing student experiences to life through stories, photos and videos to creating content by involving passionate faculty, students and brand champions. However, far less is said regarding how to create an orchestrated effort around content publishing to ensure that your content receives the most visibility and positive engagement. Often, marketing teams get caught up in the demanding work of content creation and fall short when it comes to creating a well-thought-out content release plan. The result is limited exposure of a content piece that was incredibly time consuming to complete. 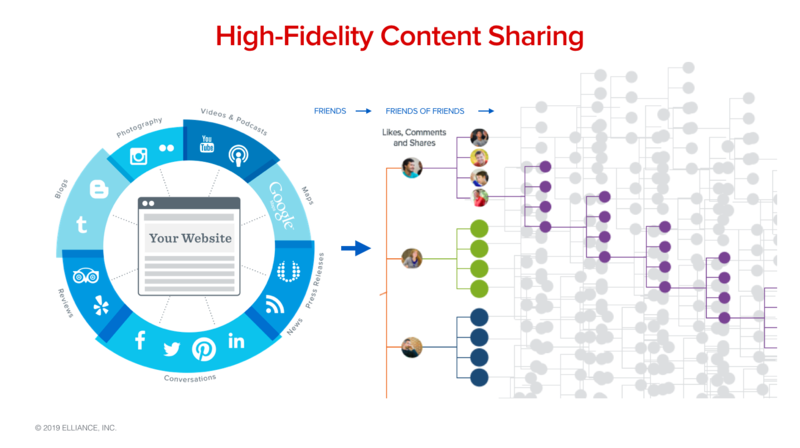 At Elliance, for each piece of high-fidelity content — whether it’s an infographic, guide, video, blog post, story, etc. — we develop a content release plan to ensure maximum exposure among target audiences. While each piece of content demands unique considerations, here are a few recommendations that can be applied in most cases to boost your content’s visibility. Optimize content for search engine impact. Optimizing your piece of content for greatest search engine impact should occur before your content is published and must be in line with your SEO strategy. The goal of optimization is top placement in search engine results for a specific keyword phrase. Typical optimization process involves strategic adjustment of the text for keyword usage, as well as inclusion of relevant inbound and outbound links. You will also need to create optimized meta descriptions. At Elliance, this process is a collaboration between our SEO strategist and lead copywriter. 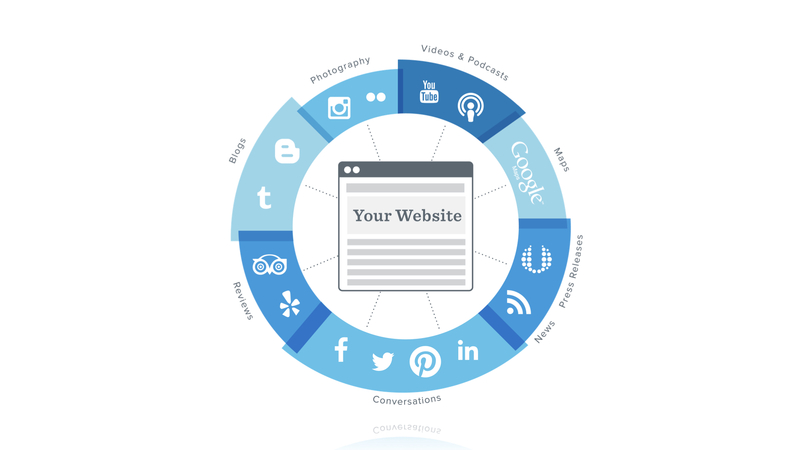 Publish content across multiple channels. Typically, a piece of content, such as a program-specific infographic, is published via program or department blog and various social media channels. However, a careful consideration of specific program pages can yield additional opportunities for relevant inclusion of content. Use of clickable thumbnails, buttons or page carousels are some ways that content, such as infographics, guides, stories, etc. can become durably visible to target audiences. Promote content with paid social advertising. Once you’ve published your piece of content via social media, it’s time to promote it. Leveraging paid social advertising via channels such as Facebook and LinkedIn allows added exposure of your social posts among target audiences. This ensures that your piece of content is not lost in the long stream of news feed posts but instead, reappears for the duration of your promoted social post campaign — typically no more than 2 weeks. Creating, publishing and promoting high quality content in support of your marketing campaign requires incredible effort and can be particularly consuming for your marketing team. From planning and strategizing to brainstorming and conceptualizing, each piece of campaign content demands cross-functional collaboration and therefore, vast talent and time resources. 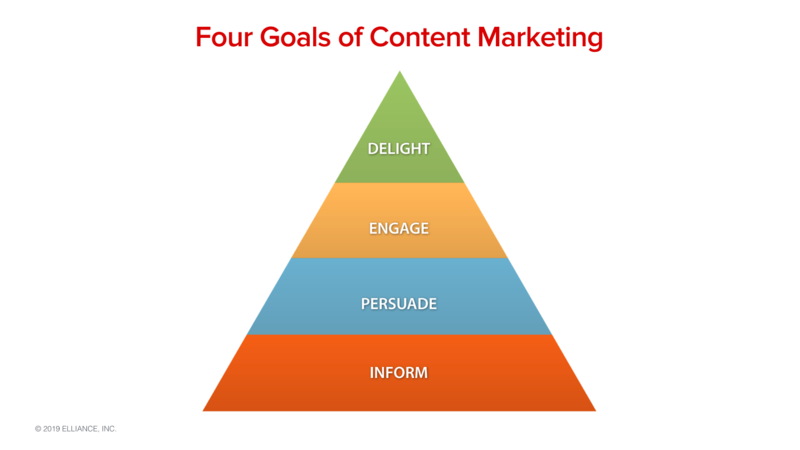 Following the above steps can help you get the most exposure for your content marketing efforts and ensure that your hard work pays off. Easier said than done, true. But also worth every ounce of effort. At its best, a brand discovery should yield an authentic and durable brand position (with a 10-year shelf life). Better yet, a brand discovery (well planned and executed) should liberate your institutional voice — a bright new vocabulary that establishes an emotional connection with prospects and other stakeholders; a way to articulate, with clarity, verve and imagination why you matter. Getting the brand and voice right can test any school and potential partner. Brand discovery is where you begin to look more closely at hidden assumptions and unexamined bias — on your way to a clearing where new light allows something fresh and unforeseen to emerge. How you approach brand discovery, especially the rationing of scarce time on campus, will have a big impact on results. A frequent misstep when shopping for or planning a brand discovery is to confuse quantity (50 interchangeable interviews) with quality (five prized insights). Success depends less on the interview roster (directors and vice presidents), and more on the nuanced understanding that you set out to achieve. In the opaque world of brand development, the question “am I getting my money’s worth” is always present. Avoid scoring brand RFP responses by the bulk weight of proposed focus groups. Resist being swayed by the clever nomenclature of a firm’s “signature brand discovery process” and its accompanying jargon. Your evaluation of a brand partner should center around the creativity and angle of their approach and sensitivity of the listeners that they assign to the work. It takes a brave and willing college or university to partner with a serious outside brand firm. Only a very engaged president and VPs (enrollment, marketing, advancement) have sufficient clout and cover to streamline and shepherd the brand discovery process. One of the first reflexes to fight is a tendency to clog the process with too many cabinet members, faculty leaders, enrollment staff and student tour guides. FACT: Clear brand signals rarely come from senior staff or more vocal/visible students and alumni. Brand insights and cues more often arrive as faint signals from unlikely sources. The best brand messengers, I find, are faculty and students who naturally embody your origin story and carry on the mission without fanfare or self-awareness. These folks mostly fly under your radar, and thrive in the nooks and crannies of academics, service learning, and student affairs. When you lean on focus groups and title-heavy interview subjects, you risk discounting these essential voices or missing them altogether. There is something in the rational mind that craves the simplicity and reassuring hum of a drive-through car wash or robotic vacuum. Yes, those machines look tireless and efficient— programmed as they are to treat all particles alike. But should we evaluate a brand partner with the same criteria? What if, instead, we chose a brand partner the way the Army, Navy, Air Force and Marines select trusted military working dogs. The dog handlers look for the right mix of reward-centered temperament and proven skill that makes these animals invaluable. The animal’s genius is tied to its ability to change course — it’s unpredictability — and that aspect of the process is not just acknowledged, but highly valued. The same could be said of those who bring a simple skill of solid reporting to any brand discovery. I rank reporting as the single most undervalued skill and habit to be found within a college or university, or among higher education marketing firms that serve them. In many respects, the state of a college or university’s flagship publication(s) and digital content will reveal an overall readiness for a robust brand discovery. While quantitative data adds real value to those trying to define a brand position and give it voice, it’s the qualitative findings — real-time observation and institutional memory — that light the way. Colleges and universities that nurture and value great story telling, and the candid conversations and robust reporting behind those stories, already understand what’s required to articulate an authentic brand. 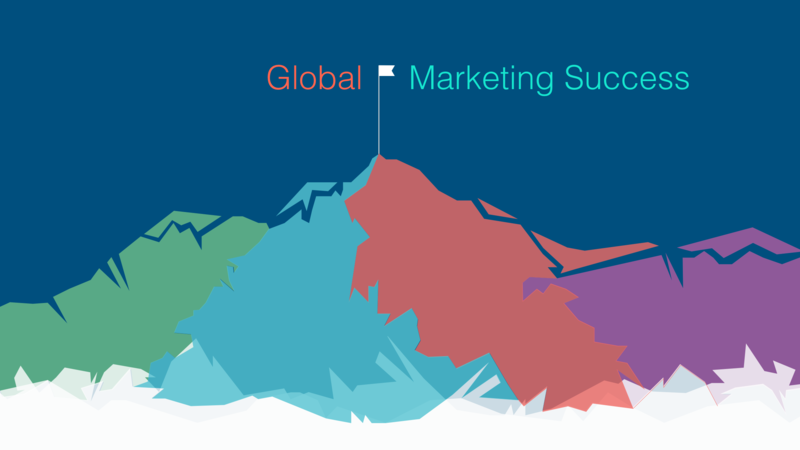 The path to global marketing success is fraught with peril. There are hundreds of potential pitfalls…and a few right paths. 1. Not creating country-specific websites. Great global marketers strategically focus on specific countries to maximize their multi-language investments and logistical costs. They recognize that the world is tribal. As a result, they don’t create one website in French for France and all French speaking countries in Africa, or one Arabic website for all Arabic speaking countries. They create custom experiences that are mindful of local dialects and customs. 2. Not investing in market research in target countries. Successful b2b companies study and understand the local industry trends, competitive environment, channel partner dynamics and brand perceptions. 3. Failing to adapt the product to the local market. Successful manufacturers create product variations that fit into the local markets. They have an innate sense of timing on when to release a product to a market based on the maturity level, habits and restrictions of the local market. 4. Not creating websites and social media channels in local languages. Successful b2b manufacturers invest in clear and persuasive communications in multiple languages. They create multi-lingual websites with native friendly search engine optimization (SEO) meta-data using country-specific domains (.e.g. .fr in France), and distinct social media channels that work best in those countries. They don’t use machine translation technologies (e.g. Google translate), but hire translation companies experienced in high-quality translations. 5. Not engaging in localized Content Marketing. Successful industrial marketers know that writing white papers, creating case studies, and producing videos are table stakes for industrial buyers. The buyers and influencers use the content at various stages of the sales cycle, and the materials also benefit their personal professional growth and training. 6. Under investing in paid digital and SEO. Successful industrial companies engage in pay-per-click and search engine optimization in the most popular local search engines. For instance, in India, they run paid and organic campaigns in Google India, but in China, they run them in Baidu (Google-equivalent) and Renren (Facebook equivalent) directing prospects to the landing pages or website pages in the local languages of the target audience. 7. Not localizing SEO Keywords. Successful b2b marketers know what works in the US doesn’t always translate to each country, which might have its own local nomenclature, colloquialisms, and acronyms. They customize for each market. 8. Failing to hire marketing managers with global mindsets and global dexterity. Enlightened manufacturers harvest talent from global MBA programs that are offered by several reputable business schools such as Duke, Thunderbird School of Management and Manchester Business School. The new breed of MBA talent are global nomads motivated by their love for business, global travel and language apps such as Duolingo. 9. Not fully understanding or respecting business cultural differences. Experienced b2b industrial marketers have a nuanced understanding of business culture and practices in foreign markets. 10. Not being prepared organizationally for global operations. Sophisticated industrial companies first cultivate the habits of broad delegation, 24×7 operations and remote collaboration. These habits pave the way for running a global business. Learn more about Elliance capabilities in b2b, manufacturing and industrial marketing. 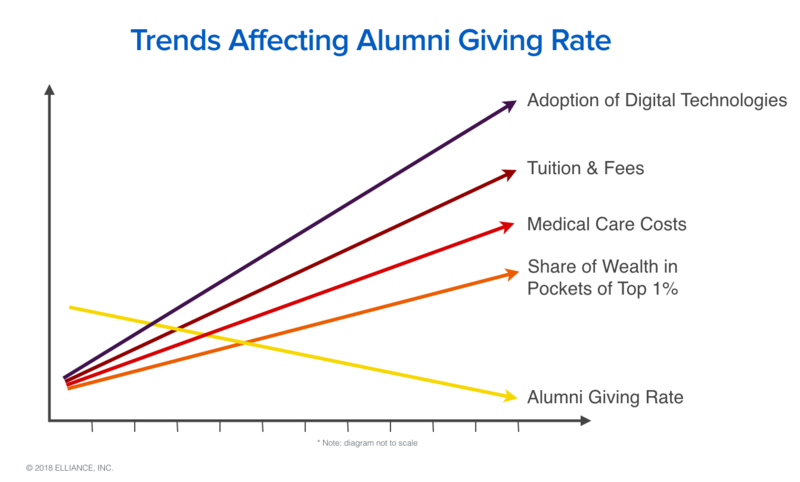 Alumni giving rates have dropped by more than 50% in the last twenty years, while mega-gifts continue to expand. These trends begin to make sense when you see the chart below of some recent societal changes. These micro-trends are reducing alumni giving rates in a unique way: continued increase in tuition and healthcare costs is leaving less money in the pockets of recent alumni; social media is exposing alumni to a variety of new and exciting options for giving; a winner-take-all mindset is concentrating wealth in higher net worth families leaving less money in the hands of middle class and lower income families; colleges are still deploying traditional ask-strategies which are out of touch with the habits of Gen-X, Gen-Y and Gen-Z digital natives. For a college, a brand is the reason for its existence, the sum of life-changing interactions between students and faculty, a measure of lives transformed, and its impact on the greater world. Alumni want to belong to a brand that matters, and a tribe that is solving problems of consequence. Great colleges invest in branding, and refresh their brands periodically to stay relevant. Capital campaigns become a forcing function to revisit and ensure their enduring brand is updated. 2. Cultivate major donor relationships early. Little things grow. The best time to establish and cultivate a relationship with a major donor is when they are still small, making sustained modest donations for more than a decade, and engaging with the university in their own unique ways. Just as Nike bets on emerging talent, the advancement officers must learn to identify, watch and invest in recent alumni with potential. At the appropriate time in the relationship, senior college team members should make the personal ask, with all the necessary accoutrements that the occasion demands. 3. Create a culture of sustained giving. Maintain sustained communications with alumni. Colleges can’t stay dormant for long period of time, show up one day and expect alumni to simply give. Avoid sending tone-deaf communications, which are insensitive to emotions, motivations and needs prevalent in different stages of life of alumni. Cultivate alumni engagement with programs commensurate with what they can give: time, treasure and/or talent. Develop a model that segments the alumni into a spectrum of likelihood to give. Then send customized communications to each segment. Deploy social media tactics for annual giving. 4. Invest in communicating the strength of an institution’s reputation. Alumni need continual assurance that their alma mater is thriving; that the value of their degree is growing; that the tribe they belong to is healthy and flourishing. The best way to achieve this is to keep alumni and friends informed with a flagship publication that tells high-fidelity stories. The publication should be delivered periodically in print and/or digital format, and the stories should be made productive with Google optimization and social media sharing. To learn more about our philanthropy marketing services, contact us. 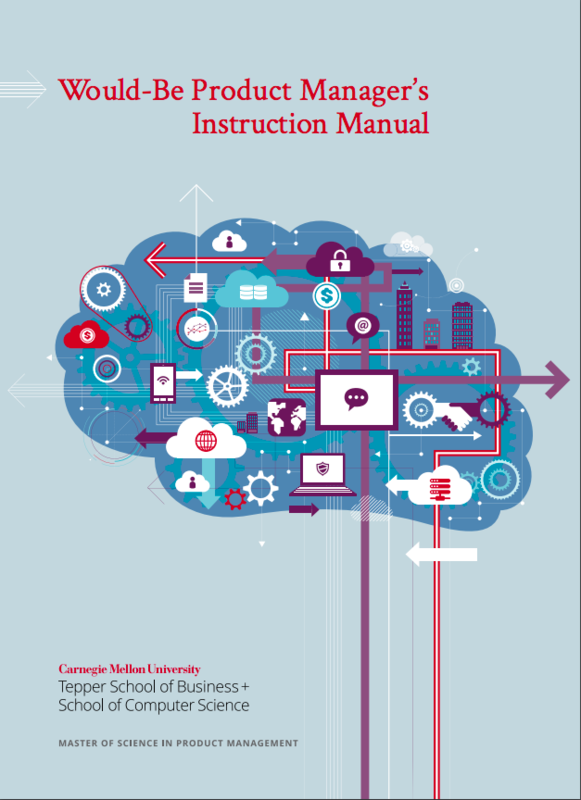 Build reputation of your institution as a thought leader in your core expertise. Create a readership that engages with your passion for your expertise by delivering practical, dependable and valuable content. Curate and manage your personal profiles on your organization’s website, your personal LinkedIn account, and other social channels. Grow and cultivate your personal network comprised of practitioners, peers, collaborators and most importantly influencers. Speak to practitioners, peers, collaborators and influencers. Lead the believers in your cause. Persuade the receptive. Ignore the rest. Think of the keyword or phrase you would like your blog post to be ranked for. Search Google to see who else appears on page 1 of Google for that phrase. Write about research, studies, best practices, and policy issues. Quote other authoritative peers and aspirational brands. They lend you credibility. Tie content to the keyword or phrase. Limit the length of blog post to less than 500 words. Provide authoritative perspective on your expertise and related topics. Risk yourself. Lean into controversy. Be positive, real, helpful, accessible, insightful, professional and knowledgeable. Encourage questions and comments on the blog. Share your blog on your personal social networks as well as on your organization’s official social media channels. Respond to comments on the blog and social media. Measure the number of shares and likes. Measure the traffic on the blog post. Monitor Google rankings for your keyword or phrase. We welcome you to share your guidelines with us. Wishing you a great journey ahead. What was once considered high-priced influence — to change customer buying habits, or impact voter behavior — is now within reach of anyone with a smart phone and a few hundred dollars. I see this commoditization from multiple angles — as the CEO of a digital marketing agency, as a digital policy wonk (computer science/Cornell, business/Carnegie Mellon), lifelong reader of all-things psychology, and as someone who grew up in a country where foreign governments routinely influence elections. Digital tools, like all tools, are inherently neutral. Whether they are used for greater good or nefarious ends depends on who uses them. Some data-driven digital economy innovations have been embraced by consumers (Amazon, Netflix and Spotify recommendations engines). Other uses of data and digital reach (Target’s “are you pregnant” algorithm) proved to be more invasive and presumptuous. Not every woman who buys large cotton balls, scentless soap, hand sanitizers and washcloths welcomes coupons for baby products. Still other uses of data and digital reach may be seen as dystopian. Paid social ads that discourage citizens from exercising their vote — or worse, foreign governments influencing our elections with fake social media accounts and manufactured “news” are far more troubling. Facebook, as a leading attention merchant, finds itself in the thick of deep controversy. Its privacy practices, its partial reliance on data from corporate partners, and its lack of transparency to users are under scrutiny. It has become associated with the wide dissemination of fake news. Its algorithms appear to be cocooning us by serving up similar content with increasing shock value. The net effect of this is that Socratic dialogue and the ability to compromise are being endangered; our elections were partly hijacked by foreign actors who are sowing deep divisions in our society, putting even our democratic ideals at risk. Expanding privacy protections and making them more prominent. For instance, a Facebook user can choose not to be targeted based on his/her religion inclination, marital status or political affiliation. Cash rewards are being promised to people who report data abuse. Data access is being restricted on all apps. This includes limiting access to the events people attend, stricter protocols for gaining access to Facebook API, and restricting targeting people with religious and political affiliations. Closing the loophole for finding a person by phone number or email, a feature that was abused to gain access to additional information about a person. Increasing transparency to show people the source of political ads and news. Adding safeguards to prevent the creation and management of fake accounts. Phasing out corporate partner categories and relying solely on use profile data and their engagement habits with the Facebook platforms. This’ll end reliance on third party data such as home ownership, investments, credit card spending habits, and more. App developers who rely on Facebook APIs, especially the ones who have been pushing the ethical limits, will face more roadblocks. Facebook users will be the largest beneficiaries of these changes. In turn the Facebook advertisers will benefit too. Should a user take the time to refine the types of ads they wish to receive, the advertisers will now reach more receptive and right-fit prospects. We expect increased reliance on Facebook features such as lookalike and interest targeting – both based on Facebook’s secret sauce. Facebook targeting based on political and religious preferences, and third party data will no longer be available. Facebook advertisers will increasingly rely on Facebook lookalikes and interest categories to create micro-segments. We expect cocooning to continue since users are not likely to opt-in and see the news and ads with opposing points of view. Our pessimism is fueled by the broader shift away from liberal arts education towards practical education. Finally, we expect foreign actors to increasingly influence our elections by making long term investments in cultivating authoritative sources sympathetic to their interests. Democratized digital tools have also democratized political influence. Your ability to reach right-fit prospects should improve as Facebook users proactively manage their privacy settings. You’ll have to get more creative in defining and crafting micro-segments. While you’ll spend more time managing and testing the lookalike segments, Facebook and Instagram remain two of the most powerful tools to reach prospects. For that reason, we recommend you continue to use Facebook smartly. Three forces have converged to create our current data privacy crisis. 1. Insights IN PSYCHOLOGY regarding INFLUENCE AND MOTIVATION. In the last 65 years, deep research has been conducted, and hundreds of books have been published on how to influence and motivate people. 2. Pervasiveness OF MEDIA CHANNELS. A hundred years ago, newspapers and other print wares were the tools of influence. Then came outdoor advertising, film, radio and television (broadcast, then cable). Most recently came the internet, which gave birth to Google and social media companies like Facebook, LinkedIn, Twitter, Instagram, Pinterest, and Snapchat. Three technological revolutions have converged to escalate the privacy crisis. I. Computer speed soars (Moore’s law) while data storage costs have dropped. II. A sophisticated set of algorithms have been invented — like machine learning, data mining, predictive inferencing — to make meaning out of big data. Google, Facebook, Twitter and other channels have turned user data into a business model — offering advertisers clearer segments, cheaper ad buys and pinpoint targeting. III. “I Agree” and “I Accept” boxes have proliferated. This seemingly innocuous device has enabled data sharing between brands and between brands and governments. Every time you check off the box and click, you give away your privacy to others. The combination of big data crunched by faster machines, and imbalance of corporate, government and individual power has led to the current privacy crisis in the U.S. Europe, where the balance of power has always leaned towards citizens, has done a better job of managing privacy.